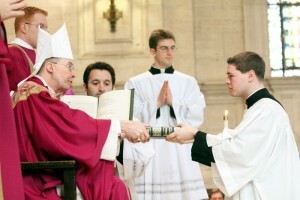 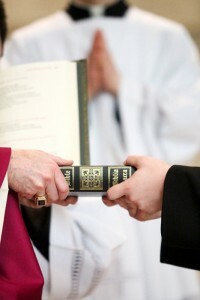 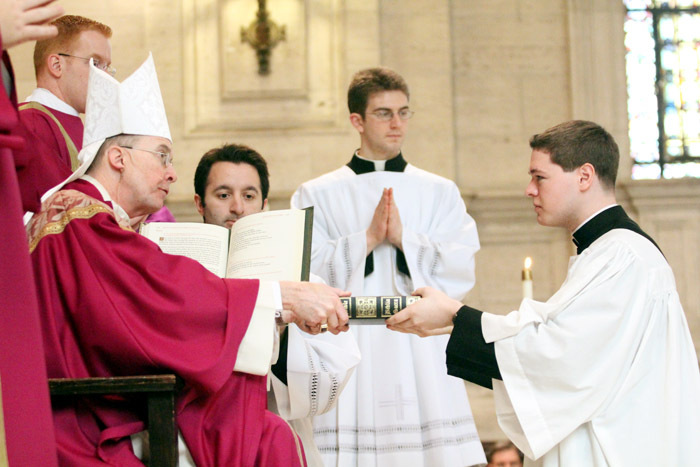 Matthew Brody, a seminarian and member of Mary, Mother of the Redeemer Parish in North Wales, receives the lectionary from Bishop Senior during the rite. 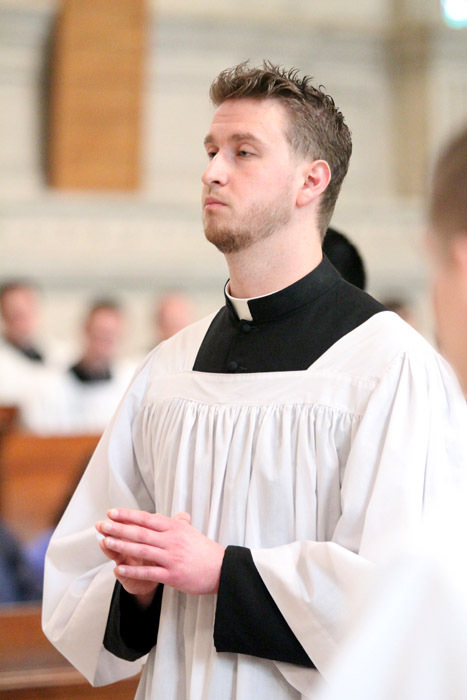 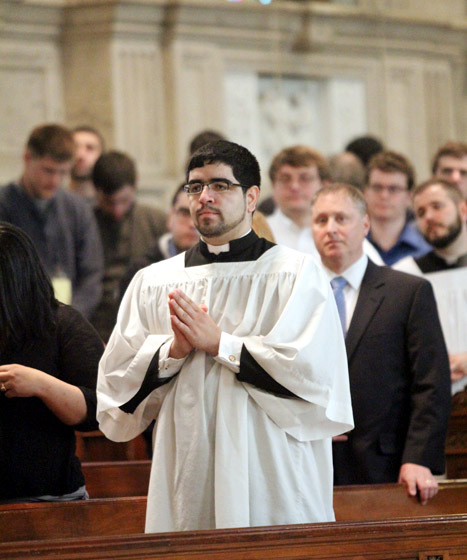 Seminarian Manuel Flores of St. Hugh of Cluny Parish in Philadelphia received the ministry of lector. 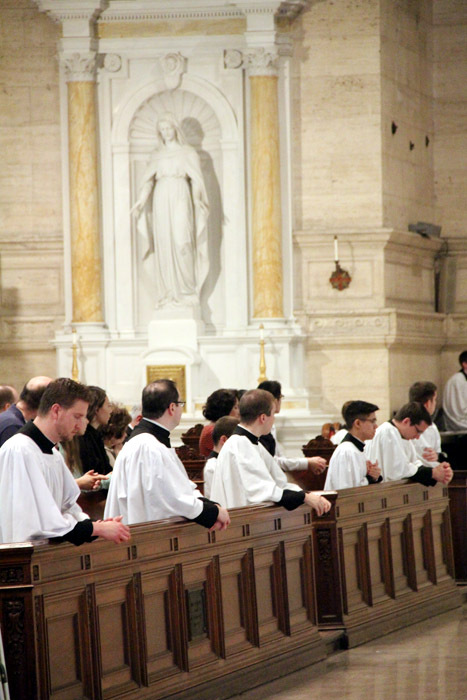 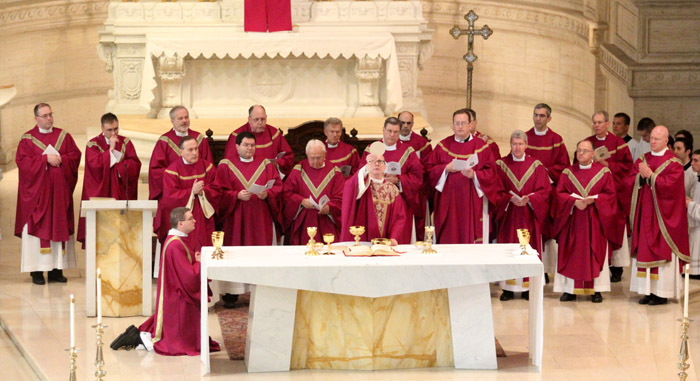 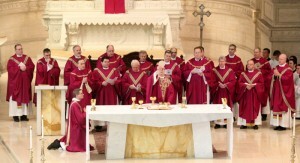 Bishop Senior celebrates the Liturgy of the Eucharist as priest faculty and other priests concelebrate in St. Martin’s Chapel at the seminary. 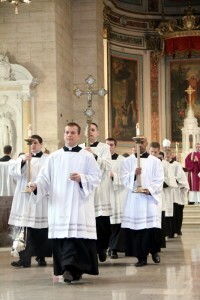 As thurifer, seminarian Patrick Muka leads the procession by swinging the vessel that burns incense. 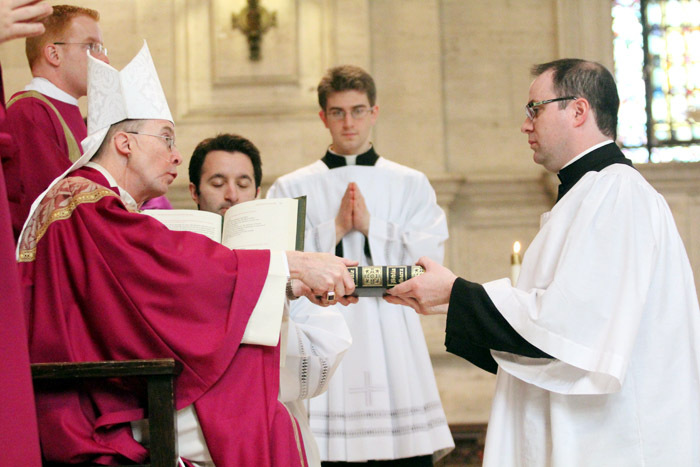 Seminarian Brian Bonnolly receives the ministry of lector from Bishop Timothy Senior, celebrant of the Mass and rector of St. Charles Seminary. 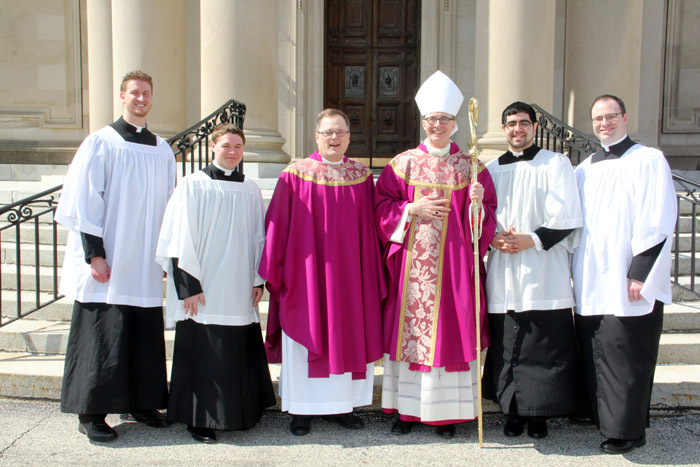 From left, seminarians Keith Beaver and Matthew Brody pose with seminary vice rector Father Joseph Bongard, seminary rector Bishop Timothy Senior and seminarians Manuel Flores and Brian Connolly.